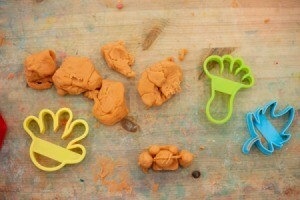 Made with edible ingredients this play dough is fun to work with and not a problem if the little ones take a nibble. This is a guide about making peanut butter play dough. This makes a dough children can mold and create with. But if they are still young enough to put in their mouth, chew and swallow, you have no worries! Mix all ingredients and let the kids have fun!